Researchers led by UNC Lineberger’s Adam Goldstein, MD, and Clare Meernik, MPH, surveyed 2,664 young adults who were current users, never users, or past users of little cigars and cigarillos, finding cigarillo packs with colors and containing a flavor descriptor were rated more positively for taste and smell. Health warnings didn’t fully mitigate the draw of the packaging. 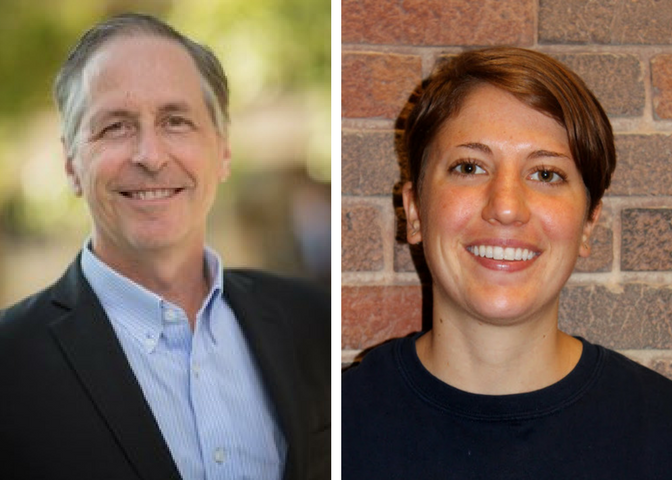 UNC Lineberger’s Adam Goldstein, MD, MPH, and Clare Meernik, MPH, published a study that found cigarillo packs printed with colors and flavor descriptors were rated more positively for taste and smell. 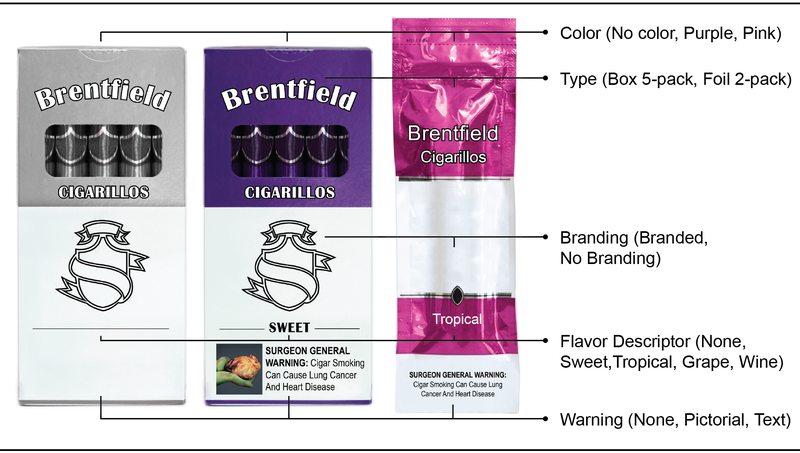 The cigarillo pack variations used in the study included variations by color, flavor description, brandng and warning type. Text and pictorial warnings about the health effects of little cigars and cigarillos didn’t fully curtail the appeal of bright colors and descriptions of flavors on packaging, a study by University of North Carolina Lineberger Comprehensive Cancer Center researchers found. In the absence of federal regulations for flavors on cigarillos and little cigars in the United States, UNC Lineberger researchers wanted to understand the impact that flavor descriptions and colors in packaging have on the products’ appeal. The researchers surveyed 2,664 young adults who were current users, never users, or past users, finding cigarillo packs with colors and containing a flavor descriptor were rated more positively for taste and smell. The warnings didn’t fully mitigate the draw of the packaging. “In addition to a ban on flavor descriptors, and their accompanying product flavoring, enacting stricter regulations on imagery, such as plain packaging regulations that might eliminate colors on cigarillo packaging, are warranted and might reduce cigarillo use,” the researchers reported.